Welcome to Budapest, arguably the most beautiful city in Central Europe (Europe and Planet Earth). You like it here? Then an obvious choice is to get to know it's neighbourhood through day trips. Or you've gotten tired of only visiting capitals and metropolises? The countryside's waiting for you! As well as you'd like to leave the Central European tourist path? Get off the beaten track - we tell you how! Szentendre (Saint Andrew) is the favourite getaway for locals from the capital. The town, located just outside of Budapest has inspired many generations of artists for a good 200 years. You can reach it by a 40 minute scenic HÉV (suburban railway) ride along the Danube river from Batthyány tér or Margit híd budai hídfő on the Buda side. You only need around 4 hours for a full excursion. Tickets cost only 4 euro for a return trip. 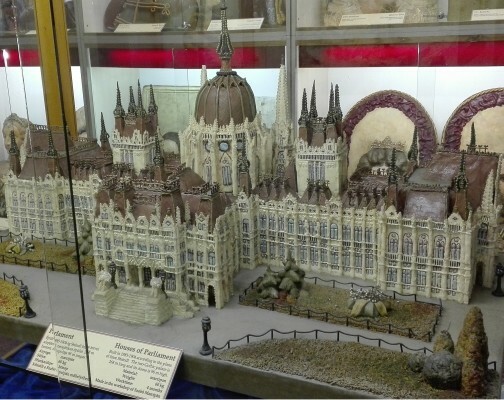 The best sites in Szentendre include the Marzipan Museum and the Margit Kovács ceramic museum. We also recommend grabbing a langos. Do like the locals do: visit Szentendre! 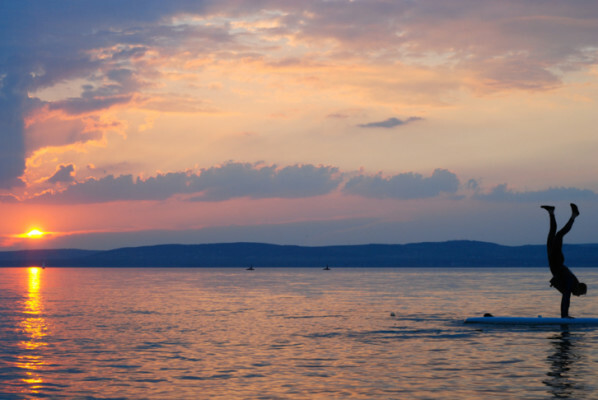 Lake Balaton (or the Hungarian "sea") is a large freshwater lake (77km long and 1,5 - 14km wide) that has been the favourite summer destination for Hungarians for at least a century. It was an iconic meeting place where split-up East and West-German families could meet. In fact, one can hear a lot of German around the lake nowadays. The north coast gets deep quickly while the south is more popular with families with children. Did we mention how refreshing it gets to take a long swim during a hot summer day! 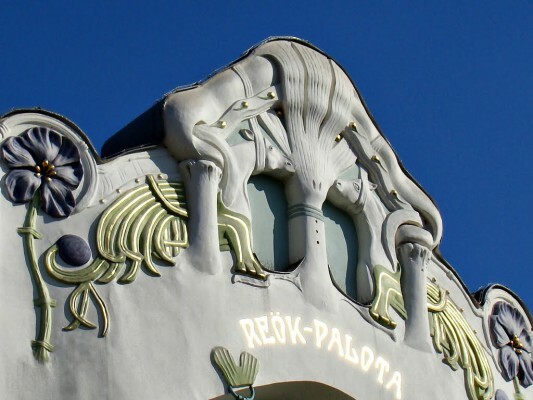 Reaching Siófok, the gateway and a popular party town on Balaton takes a little over 1 hour and costs 7 euro one way (students enjoy 50% off) by train from Déli pályaudvar (one of Budapest's 3 main railway stations). Are you in love with wine, cool cellars and castles? Eger is the perfect spot. 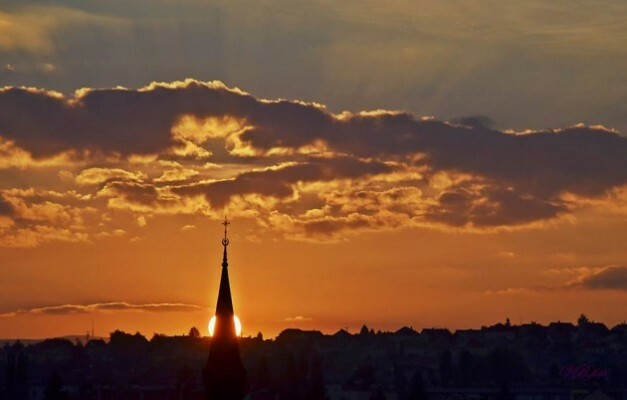 With a population of 54.000, Eger is known in Hungary for its miraculous victory of Hungarian defenders of the castle over Ottoman Turks in the 1550s as well as its wine, the Egri Bikavér (Bull's blood) a dry or semi-dry red cuvée wine from 3 or 4 different local varieties. Its main sites include the castle, the northernmost Turkish minaret in Europe, the Turkish bath; palaces, churches and a Beatles museum! Eger is 1:50 hour away from Budapest by train. The ticket costs 9 euro one way (50% off for students). Home to Europe's second largest Synagogue, amazing Art Nouveau architecture, the mind-blowing Aquapark, and traditional fish soup with paprika, Szeged has it all! Its 170.000 inhabitants and 30.000 students make the 3rd largest city of Hungary a fresh and welcoming place close to the Romanian and Serbian border. Yet another great base for a day and weekend trips! Trains from Nyugati Railway Station in Budapest reach Szeged in little less than 2,5 hours for 12 euro while the preferred transportation of many is carpooling: 1.45 hour, 6 euro, cars usually from Népliget. 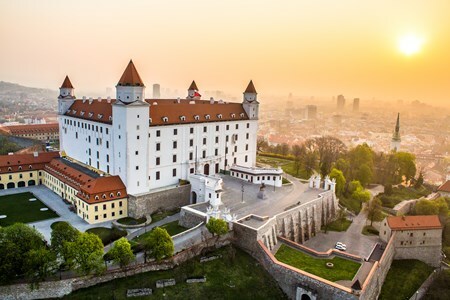 Bratislava (in Hungarian: Pozsony) is nicknamed the "little big city" and with its population of ~0,5 million is one of the youngest capitals of Europe (1993). If you're only interested in the jewel-box-like Old Town- as most visitors are- you don't need more than 2-3 hours, maximum a half day to walk around in the small town atmosphere of the city centre. Tease your tastebuds with halusky, the Slovak national dish (gnocchi-like dumplings with bacon/smoked pork fat and sheep cheese) and Zlaty Bazant, the local's favourite beer. Favourite activities include climbing up to the castle for great views and checking out the lovely Blue Church. Trains run every 2 hours during the day from Keleti Railway Station and reach Bratislava's central railway station in little less than 3 hours. Single and return tickets cost the same: only app. 17 euro! International bus companies also cater to this route. Other than being an excellent city to explore, Budapest can serve as a great base to visit the most popular destinations among locals in the Hungarian countryside. And thanks to the short distances, even beyond the state borders you can visit another -often overlooked- capital, Bratislava. What are you waiting for? Come visit Budapest and experience other must-see destinations!